While all car and trucks are different, the installation guidelines shown here should apply to most vehicles. 1) Remove the mount from its packaging and locate the supplied hex wrench. 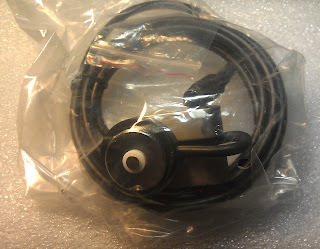 Unwrap the cable tie and stretch out the antenna cable. 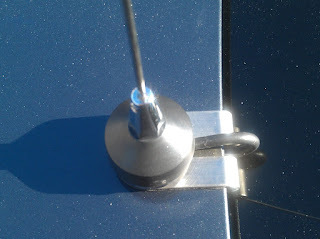 2) Determine the best location for the antenna in your vehicle. Ideally it should be on a flat portion of the vehicle body so that the clip will remain flat. It should also be on the side of the vehicle in which you have mounted the BST-1 radio. IMPORTANT NOTE: Make sure you install it on a metal portion of the vehicle. Some hatchbacks and SUV's use plastic for the top portion of the door and you will not get the necessary ground to the vehicle. It may be necessary to mount lower on the side of the door. In this case, the 24" whip will stick out at an angle and if this is the case, carefully bend it more vertical as required. There will be no observable change in performance. 3) Using the supplied hex wrench, unscrew the hex nuts so that there is full clearance under the clip. 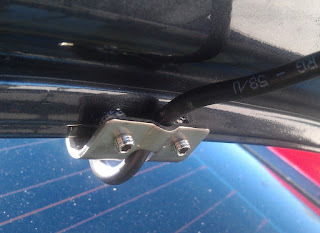 4) Slid the clip over the edge of the trunk lid so that it is securely against the edge. 5) Tighten the hex screws. Tighten one until it is snug, then the other and repeat until the hex screws have penetrated the paint and touch bare metal. If in doubt, loosen the screws and remove the clip to make sure bare metal is exposed and then remount the clip. 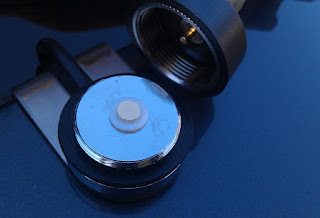 This is necessary to insure good connection to the metal of the mounting surface. 6) Remove the packaging from the 24" whip and save the hex wrench in case the whip portion ever needs to be removed. Install the 24" whip on the NMO mount. Make sure the rubber gasket is on top of the mount prior to installing. Tighten finger tight. 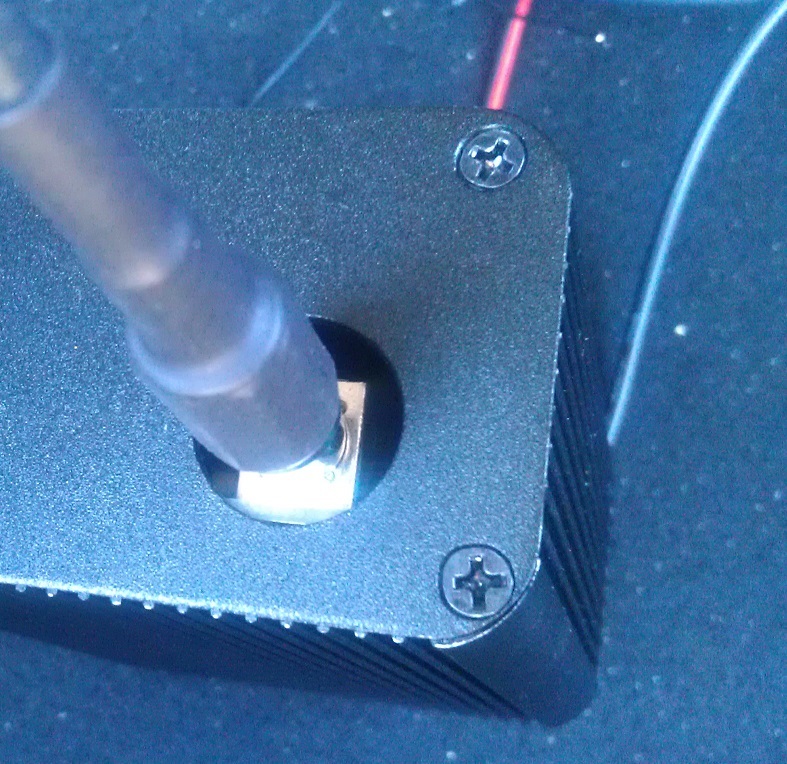 7) Route the cable to the BST-1 and plug in. 8) Carefully open and close the trunk, hatchback, or door to make sure there is no interference from the trunk lid and the clip or the antenna whip when the trunk or door is fully opened. If necessary, the whip can be carefully bent at an angle to prevent it from striking the vehicle when the trunk or hatch back is completely opened or if it protrudes at an angle that may result in someone running into the whip. Bending will have negligible effects on reception with the BST-1. 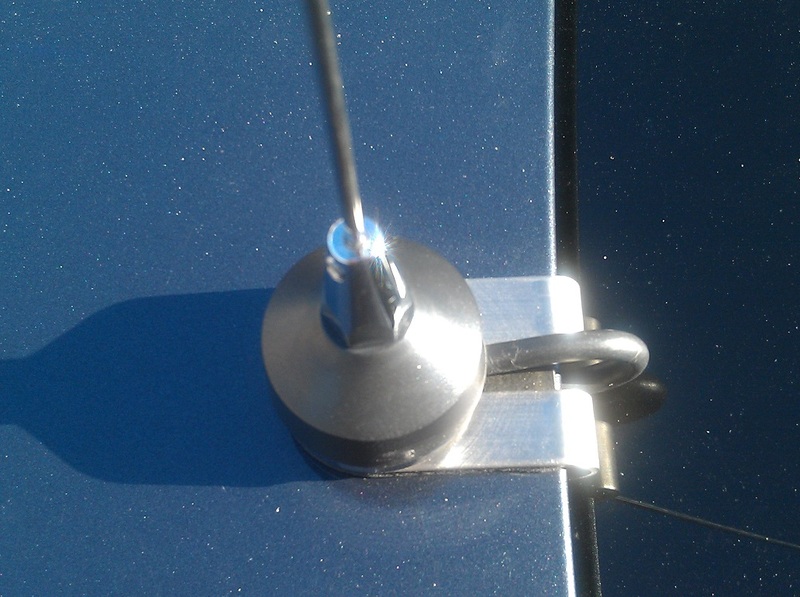 9) Save both hex wrenches if it is necessary in the future to remove the antenna to mount on another vehicle.